If you’re already in the habit of walking, sitting, hiking or running through forests or parks with an abundance of trees, you’ve probably noticed how nourishing the experience is: how spending time in the natural world – immersed in the energy of trees, rivers, mountains and wildflower-filled meadows — just feels really good. But why exactly is this? How does time away from city streets, in favor of more rural or back-country environments, actually affect our mental-emotional and physical health? Japanese researchers led by Yoshifumi Miyazaki discovered that a simple stroll through a forest led to a decrease in blood pressure, a drop in heart rate, and a significant decrease in the stress hormone cortisol: all physiological signs of deep relaxation. But why exactly do our human bodies respond in this fashion? Ted Norretrander – author of The User Illusion – makes a similar point, in claiming that the “information age” is stressful not because there’s too much information, but rather because there’s too little. Most of our information (i.e. what we consciously process) here in the computer age — and more generally in the age of literacy — is focused within the very narrow bandwidth of written/spoken language, excluding all other varieties of sensation. The situation we find ourselves in is a bit like sitting down for a meal, only to discover that the only course is dessert. While there’s nothing inherently wrong with dessert, a meal consisting also of an appetizer, soup, salad, steamed veggies, main dish and a cup of tea is much more nourishing and satisfying. If bits of information gleaned from books, phones and computers are, in this metaphor, akin to “dessert” – then the information gleaned from the sights, sounds, smells and kinesthetic sensations of being in a forest, or in a mountain meadow, or canoeing down a river – are the soup, salad, steamed veggies and main dish. Our bodies and minds require a full spectrum of sensation/information in order to function properly. South Korea and Japan have long maintained officially designated Healing Forests – places to go to nourish and heal the body and mind. And “forest therapy,” in these countries, is frequently prescribed as part of the healing regimen for a wide variety of ailments, including recovery from alcoholism and PTSD. And now, forest therapy also has a North American branch. 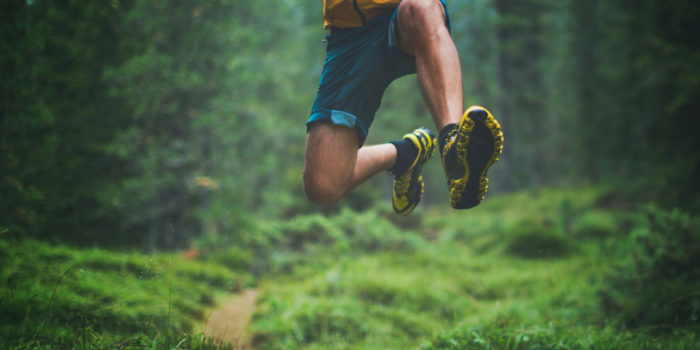 If you’re a runner – already devoting several hours a week to training – then reaping the benefits of spending more time in the natural world can be as simple as shifting your routes to include more parks or forest trails. 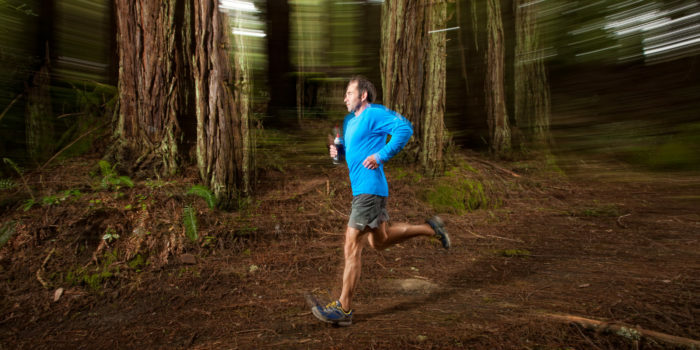 In this way, trees become your training partners. How wonderful! 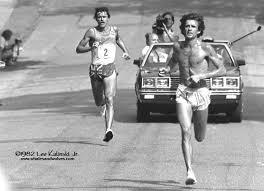 One thing I love about the Bolder Boulder Citizen’s Race is that the frequent bends and turns in the course offer a perfect opportunity to employ a fun racing tactic I learned from the great Frank Shorter. The term “trunk” might seem outdated, but it holds the key to developing natural, resilient running — and to cultivating our innermost powers of coping with healthful, stimulating kinds of stress.